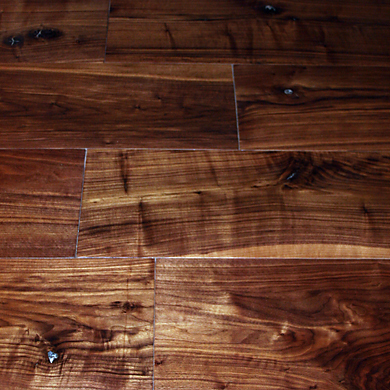 Are you looking for uniquely beautiful wood flooring? 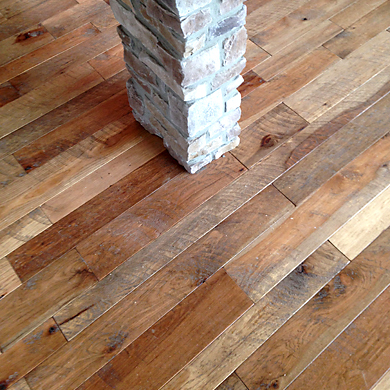 Everhart Lumber offers both pre-finished and unfinished custom made wood flooring. 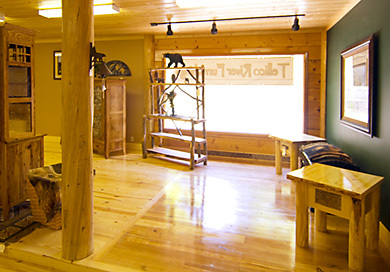 We work closely with each customer to determine the ideal wood species, surface texture, stain color, and finishing treatment for the room's floor. 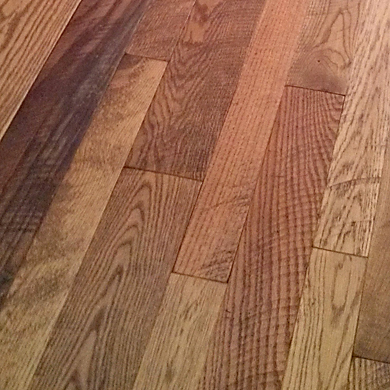 At Everhart, we've developed a process for creating a prefinished circle sawn flooring (see video, below). 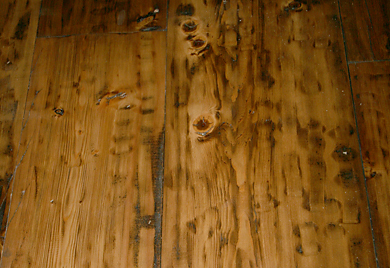 The circle saw marks left on the surface give an old-time, rustic, antiqued feel to the floor in the room it graces, and works as well in formal as in casual settings. 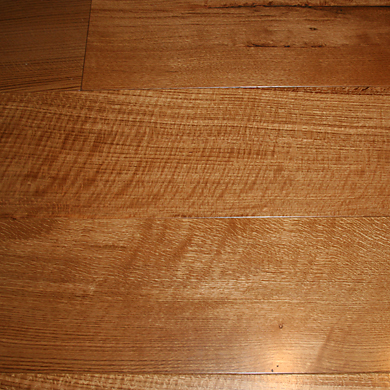 Many different effects are achievable by varying the wood species, by revealing more or less circle sawn texture, by using a brushing technique on the wood, by using stain and/or wash, and by other finishing techniques we employ. 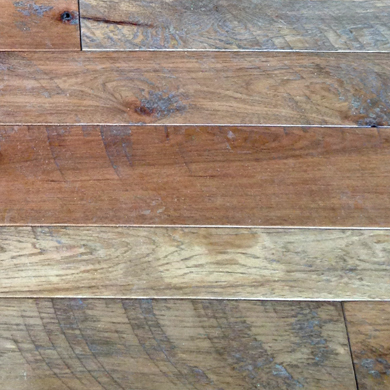 We've even dribbled very dark stain on floor boards when a designer wanted to replicate an old factory floor. 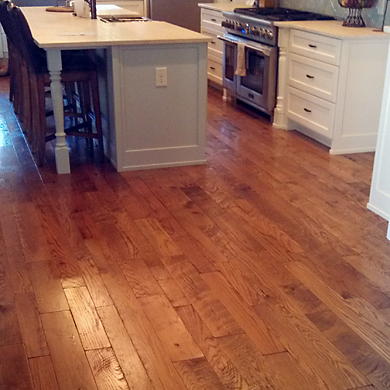 We are able to customize the floor with many stain colors or leave it natural; all of our floors are sealed with 3 coats of varnish. 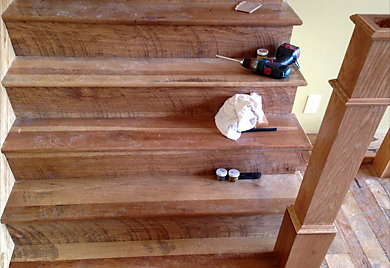 Please call for availability and price quote on these products.